SPRING!! What better way to embrace the energy of the season than with healthful, light, and delicious salads? Ahh… spring, a refreshing time of year when our bodies naturally yearn towards cleansing and renewal. This is an incredible time for transition, growth, and renewed focus on personal wellness. With fresh, seasonal produce emerging locally, it’s also the perfect opportunity to gently cleanse from the heavier foods of winter and lighten ourselves up, inside and out. Detoxifying through your diet doesn’t have to mean going hungry or even sacrificing your favorite foods; it can be as simple as just adding more healthy salads to your daily meals. What better way to embrace the energy of the season than with healthful, light, and delicious salads? 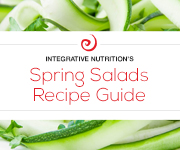 Institute for Integrative Nutrition Spring Salads Recipe Guide is the perfect resource to inspire renewed energy, positive mood, and a balanced immune system. •18 delicious salad recipes submitted by IIN students and graduates. •Tips for creating your own perfect salad, and preserving fresh ingredients. 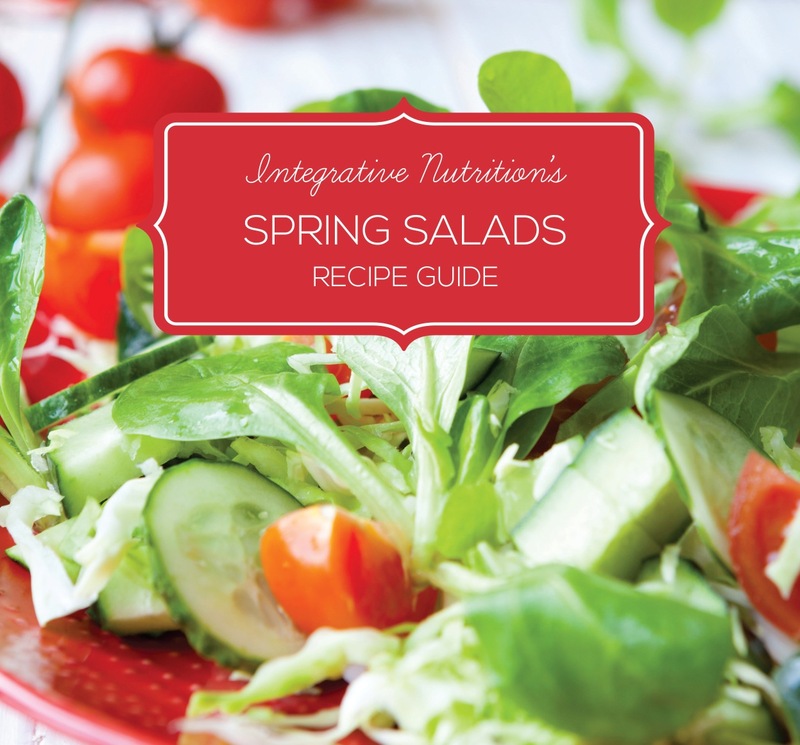 Use the IIN Spring Salad Recipe Guide as an inspiration for a 3-5 day cleanse, or simply incorporate more salad recipes into your existing diet. Either way, your body will thank you.